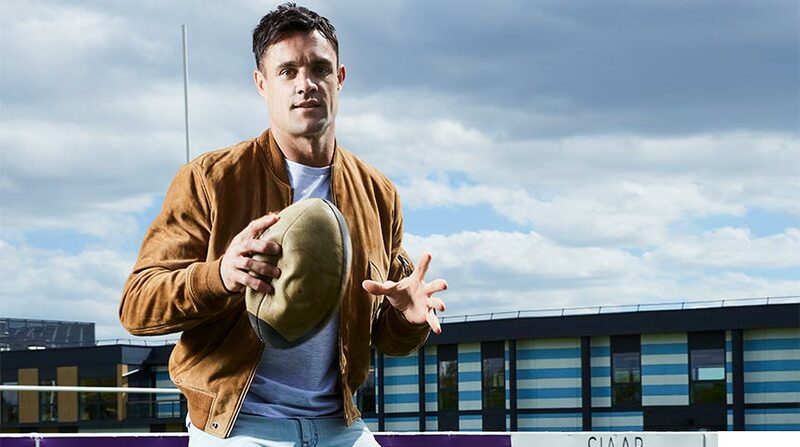 From Welsh record try-scorer Shane Williams to Wallabies legend Matt Giteau, Top League rugby in Japan has attracted many high-profile players in recent times — yet none have captured the imagination of the public quite as much as Dan Carter. The exemplary New Zealand number 10, who signed for Kobe-based side Kobelco Steelers in 2018, is widely regarded as the greatest fly-half to have graced the game. He’s won three World Player of the Year awards and stands head and shoulders above the rest as the highest points scorer in test match history. Carter rounded off his international career in fine fashion, with a man-of-the-match display in the 2015 World Cup Final against Australia (as New Zealand retained the trophy they won four years earlier). A second stint in France followed before he made the switch to Japan. Raised in the farming town of Southbridge, Carter dreamed of becoming an All Black as a youngster, often practicing the haka in front of his bedroom mirror and running around the garden pretending to be winger John Kirwan. Another hero during his youth was Andrew Mehrtens, New Zealand’s second highest points-scorer behind Carter. 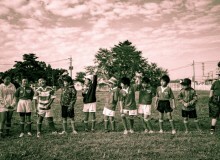 The pair later became teammates for the provincial Canterbury side, the Crusaders, and the national team. If Carter was feeling nervous, he didn’t show it, scoring two tries on his Super 12 debut against the Highlanders. Playing at inside-center, he impressed throughout the season, earning a call-up to the All Blacks squad for the summer test matches against England and Wales. His father, who listened to the announcement live, phoned to give the good news. The then 21-year-old initially thought he was being wound up. As for the game, things went well there too. Carter scored 20 points as New Zealand crushed their opponents 55-3. Off the pitch, interest in the Crusaders youngster was also growing. Twice voted New Zealand’s sexiest male, he was chosen to front numerous ad campaigns, most famously as an underwear model for Wisconsin-based retailer Jockey International. With the ads stopping traffic and massively boosting Jockey sales in New Zealand, the campaign soon went global, even proving popular in countries with little interest in rugby. Carter had taken over from England’s Jonny Wilkinson as the poster boy of the sport, a move that would reflect so much more: Wilkinson, who Carter describes as his “toughest ever opponent,” was considered the most complete fly-half in the game following his starring role in England’s 2003 World Cup triumph. 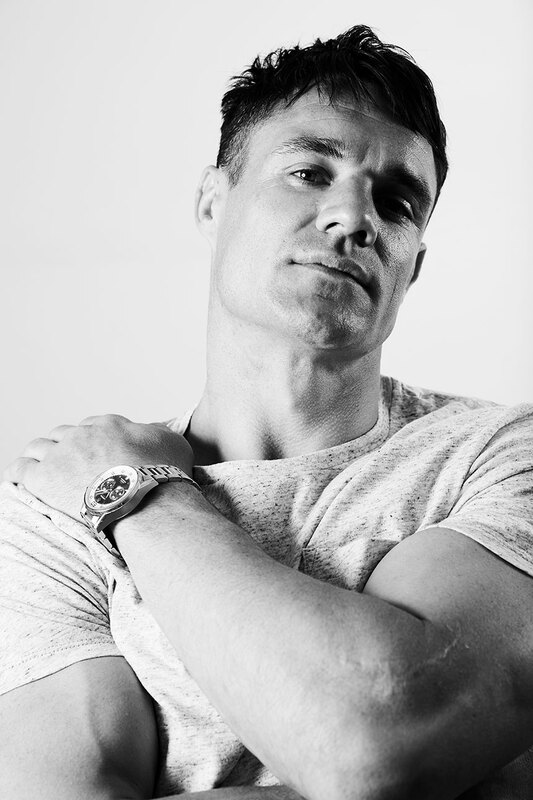 Carter, though, raised the bar to a whole new level after being switched from inside centre to fly-half (known as a first five-eighth in New Zealand) at the end of 2004. A near-perfect number 10, Carter was named the IRB World Player of the Year in 2005. An integral figure in the Crusaders’ Super Rugby triumph, he was also the key man for the All Blacks in their whitewashing of the British and Irish Lions. His mesmerizing performance in the second test lives long in the memory. He scored 33 points in what opposition manager Sir Clive Woodward called “the single best display I’ve ever seen from a fly-half.” He wasn’t alone in his assessment. The next target for Carter was the World Cup. In 2003, he was an unused sub as New Zealand lost to Australia in the semi-finals. “Four more years boys. Four more years,” was the taunt from former Wallabies skipper George Gregan. Things promised to be different in 2007. The Kiwis were overwhelming favourites for the tournament in France. They scored a record 309 points in the group stage before facing Les Bleus in the quarter-finals, a side they smashed 61-10 in their previous encounter. This time the pumped-up French were a different animal, fighting back from 0-13 down to win 20-18. The haunted look on the face of Carter, who limped off after 55 minutes, would become one of the enduring images of New Zealand’s disastrous exit. Desperate to shed the serial chokers tag, the scrutiny on the Kiwis was even greater than usual four years later when they hosted the tournament. In the final group game against Canada, Carter was named captain for the first time. However, what should have been one of his proudest ever moments turned into another World Cup disaster as he injured his groin in training, ruling him out of the entire competition. New Zealand went on to lift the trophy despite further injuries to Carter’s two replacements Colin Slade and Aaron Cruden. In the final, fourth-choice fly-half Stephen Donald, who’d been fishing for whitebait when he received the call up two weeks earlier, scored the winning points in a narrow victory over bogey-side France. The 24-year wait was over. Carter recovered from the disappointment, winning his second World Player of the Year award in 2012. His form dipped after that, though, as injuries took their toll. The knives were soon out. Many in the media believed his best days were behind him and Beauden Barrett was a better option at number 10 for the 2015 World Cup. More confident in his body, Carter repaid the faith the All Blacks coaches had shown in him with some magnificent performances at the World Cup in England. He saved the best for last: a first-ever final against Australia. The way he took control of the game when the Wallabies came back to within four points was a masterclass in how to play under pressure. His long kicks into touch pinned the opposition back before a drop goal from 40 meters and a penalty scored from inside the Australian half effectively won the game. Rounding off a memorable display, he kicked the final conversion with his weaker right foot. It’s been three years since and Carter’s still enjoying his rugby. 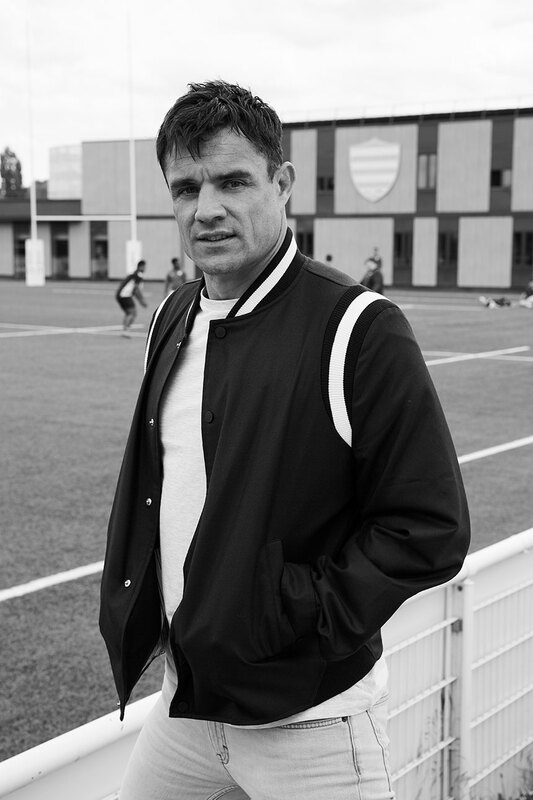 In France, he helped Racing 92 win the Top 14 championship. The Barcelona-fan was the best player on the pitch as they defeated Toulon 29-21 in front of a record 99,124 fans at Camp Nou. Possibly still bitter about that loss, outspoken Toulon owner Mourad Boudjellal criticized Carter’s decision to join Kobelco Steelers in 2018, insinuating that the fly-half had joined a weak league purely for financial reasons. The outstanding player in the division, though, is undoubtedly Carter. He was named the Top League’s MVP after leading Kobelco Steelers to their first title since 2004. In the final he kicked five conversions and one penalty as the Kobe side strolled to a 55-5 victory over twice defending champions Suntory Sungoliath. The top kicker in the country, he finished the season with a very impressive 86.2 per cent success rate. The next league season is due to begin in January 2020 as competitive domestic rugby will be put on hold in the build-up to the 2019 World Cup. As this year’s tournament hosts, Japan will be looking to build on the success of 2015 (when they miraculously defeated South Africa). They’re in what Carter describes as a “very tough pool”, but led by inspirational captain Michael Leitch, he feels they shouldn’t be underestimated. As the for the winners, no prizes for guessing his choice.